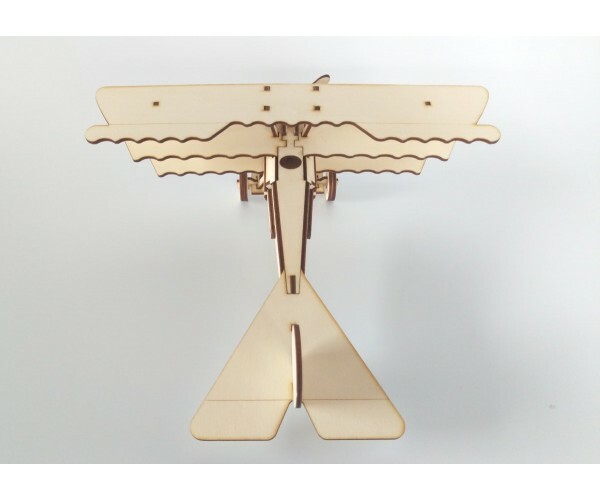 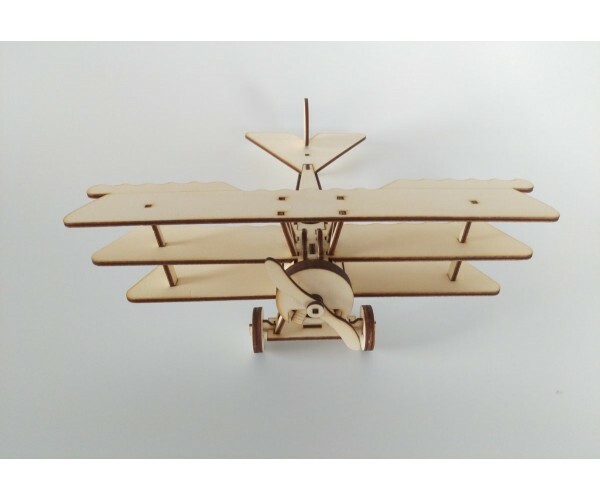 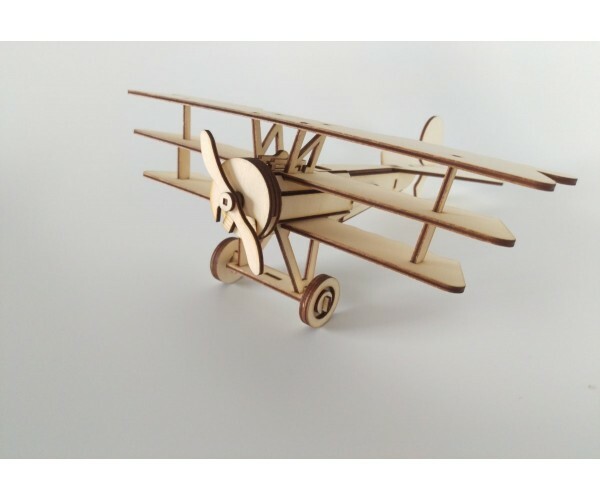 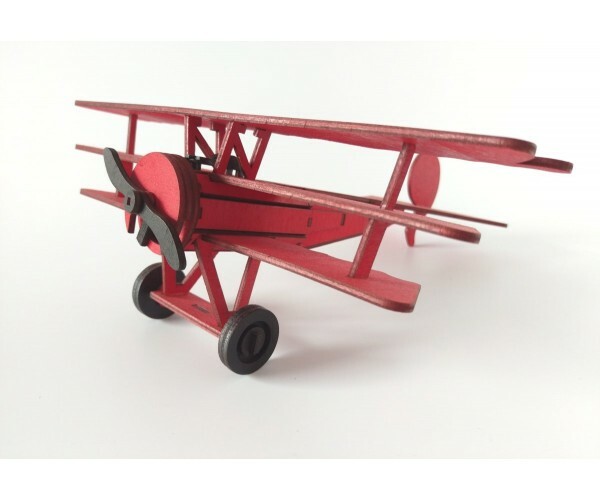 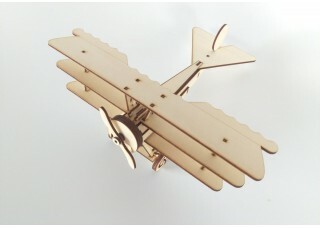 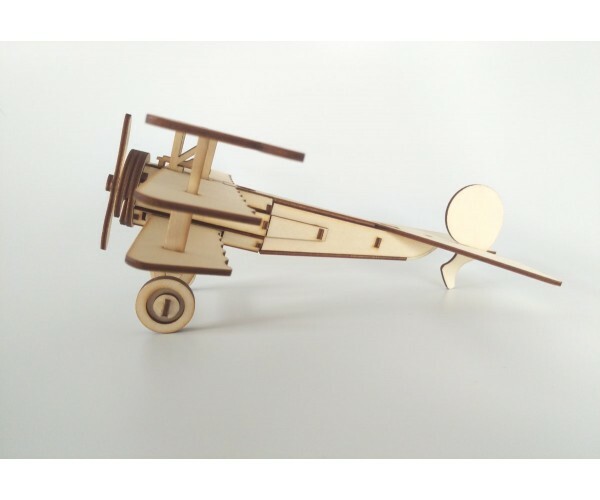 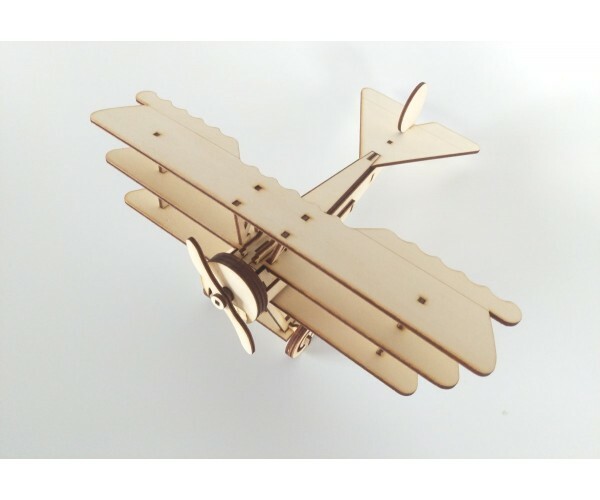 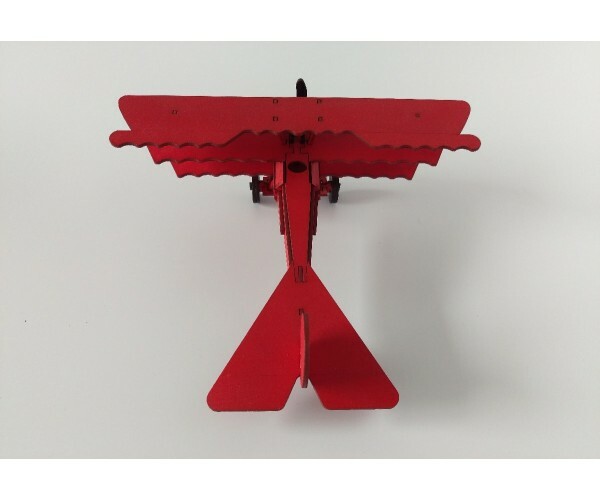 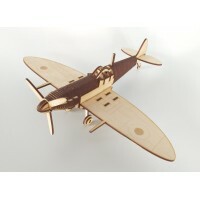 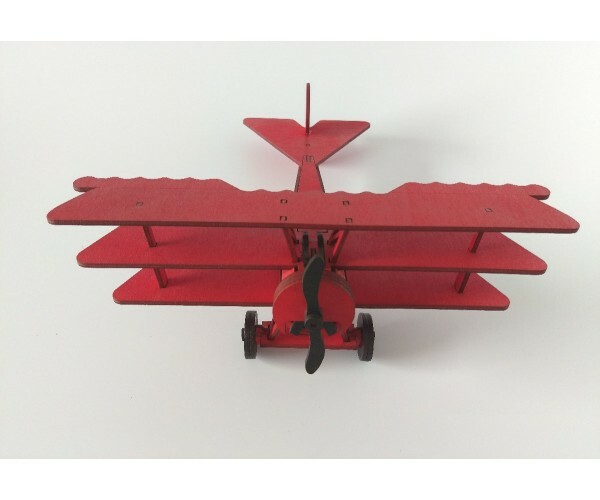 Laser cut wooden kit of The Famous Red Barron Fokker Triplane, it has turnable propeller and wheels and very easy to put together. 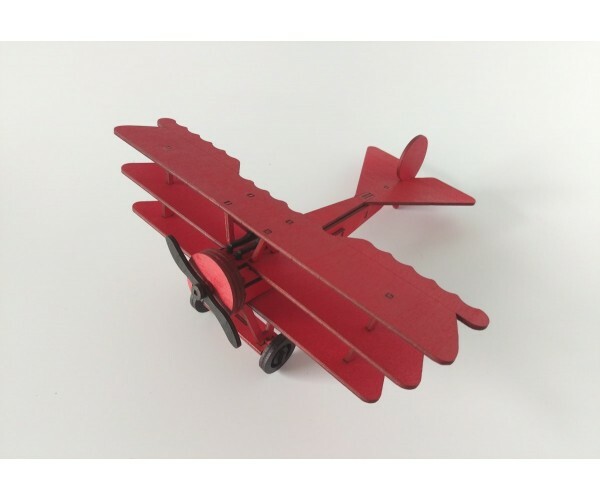 The Triplane is not as detailed or scale looking as the wright Flyer but designed as a simple look a like, especially when painted red as shown. 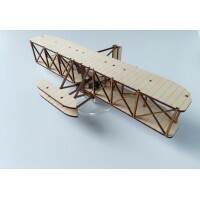 This kit has approx 40 parts.